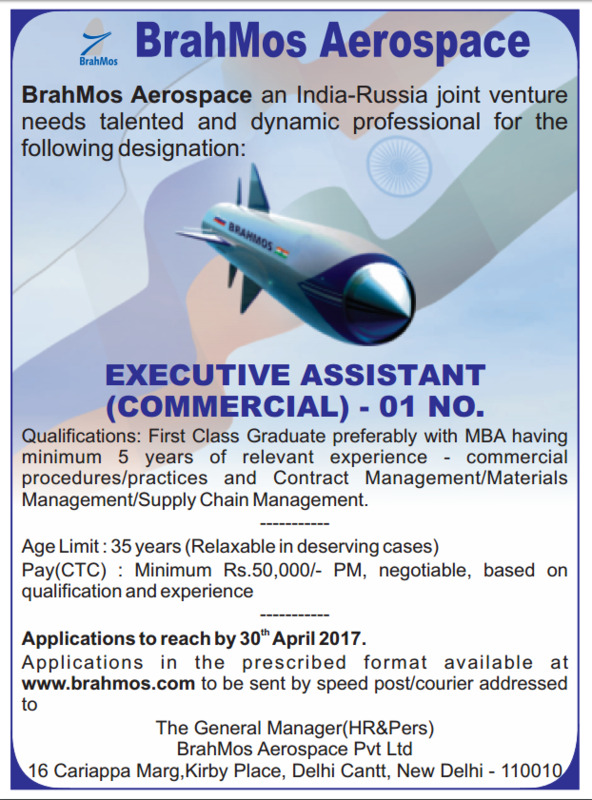 Important Dates: Last date for receipt of application is 30th April,2017. Only those candidates are eligible who have passed First Class Graduation Preferably with M.B.A having minimum 5 years of relevant experience. Selection Process : Selection will be based purely on academic and professional competence. Last date for receipt of application is 30th April,2017.E-mailed applications will not be accepted.